One of the most common questions I get asked as a website consultant is “How can we get higher up on Google?” Understandably most website owners would like their website to come above their competitors in the search engine rankings. As you would imagine, there is no magic bullet or special trick to getting to the top of search engine pages. However, through diligent and careful work, it is possible to increase the likelihood of appearing higher up the page. The following is a list of the measures we will take to improve your visibility and ranking in organic search. Click on one of the subjects below to see more detail. We will discuss your business’s aims and objectives, and the current state of your visibility online, as well as your page rankings in your niche for your preferred search terms. We will then produce an initial report with suggestions for improvement and a suggested monthly budget. What are people looking for? We will help create the right Keyword Strategy by analysing the keywords used to find your site. Assessing which keywords or phrases you should target. Analyse the keywords of your competitors. Make up a final list of agreed targeted keywords. ‘Back-links’ are links from other websites to your website. These backlinks are used by Google and other search engines to assess the importance of your website. If lots of other well-regarded websites link to your website then it would be logical to assume your website is worth visiting. We will help you develop a plan for link-building, by analysing your business network and making suggestions. Increasing your business’s presence on social network sites such as Facebook, Twitter and Pinterest can be a great way to boost your visibility online. If required we will help you set up these pages. We can integrate social media by putting Social Media links on your website’s header and footer. We can also add ‘Social Sharing’ buttons which enable your users to quickly and easily share your site content through their own social media accounts. At the end of the month we will provide a comprehensive report showing how your chosen keywords and phrases have performed. The report will include detailed statistics to help you assess how the changes have affected your listings and your website’s performance. How much will it cost? We create a tailor-made strategy for each website, depending on your aims and objectives, your business niche and your budget. We offer a FREE initial consultation and report. If after reading the report and costings you decide to go ahead, we will take the process to the next level. 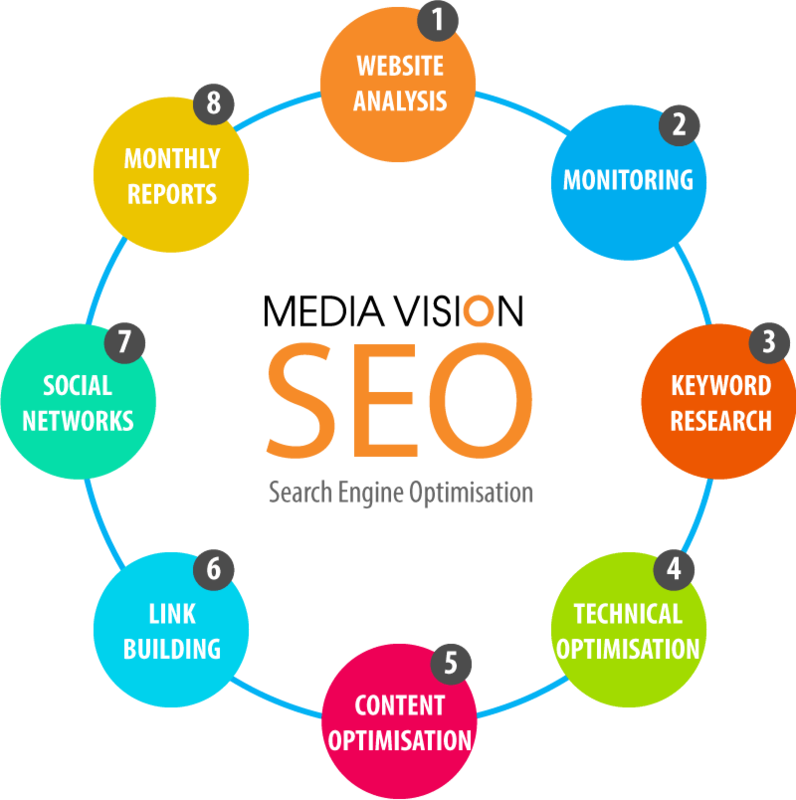 SEO is an ongoing process. To be able to assess our changes and improvements, and make adjustments, we need to monitor progress. We recommend that ideally you give it three months, although you should see improvements after only a month. There is no contract to sign, so you can cancel at any time. If in the future you find that your rankings have slipped, you can come back to us for a tune-up. As a guide, prices start at £70 per month and there is an initial set-up fee of £105. Help Googlebot find your website with SEO! Search Engine Optimisation is an umbrella term that encompasses a whole range of activities and measures that we can take to improve your website’s visibility and ranking on the main search engines. SEO concerns the natural or “organic” search results that you see in Google, rather than the adverts which are known as “Pay-per-click” or “Adwords”. Ideally, Search Engine Optimisation, or SEO, should be part of a broader sweep of measures that form part of your online marketing strategy. In reality most small businesses have limited time and resources – and online marketing can be time-consuming and expensive. SEO is a cost-effective way of increasing the likelihood that people will find your website and become customers. Many businesses operate in a highly competitive local marketplace – particularly smaller businesses providing popular services and products. Examples are Florists, Builders, Hotels, Guest Houses, Plumbers, Accountants, and so on. For these businesses, it is very important to appear on the Google Map (Google My Business) and to be prominent on the Local Services listings such as Yelp, Thompson and Scoot. It is vital that your local listings are kept consistent and up-to-date. For this reason we recommend Moz Local which is a very reasonable £9 pm. 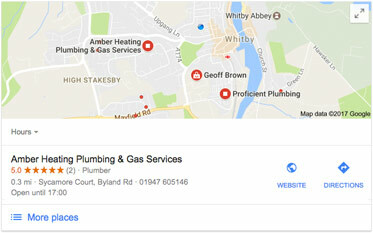 We can set up Moz Local, and Google My Business, enter all your information to the local listings, add photos and optimise, for a one-off fee of £175.